Off to the hospital this morning and The cast was taken off. 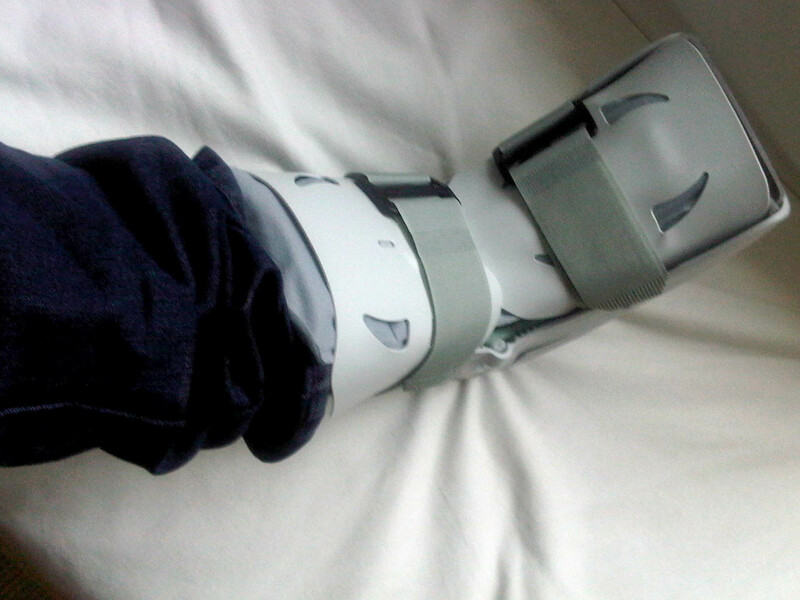 Instead I received a boot that pretty much looks like a ski-boot. I am guessing skiing would be a bad idea now… Anyhow, I negotiated a revisit to the hospital in 4 weeks (instead of 5) as I am hoping to be on a plane to Cali at the end of February. The boot is supposed to make me more mobile. Let’s see about that… as I am not supposed to put any weight on my foot, so “mobile” is relative, really… Off to the dentist tomorrow. I am sure he’ll see some humor in this as I told him to rush my appointments as I am off to Cali in January… I guess I was a little too optimistic on the moving timeline… Nothing hurts, so that’s good!